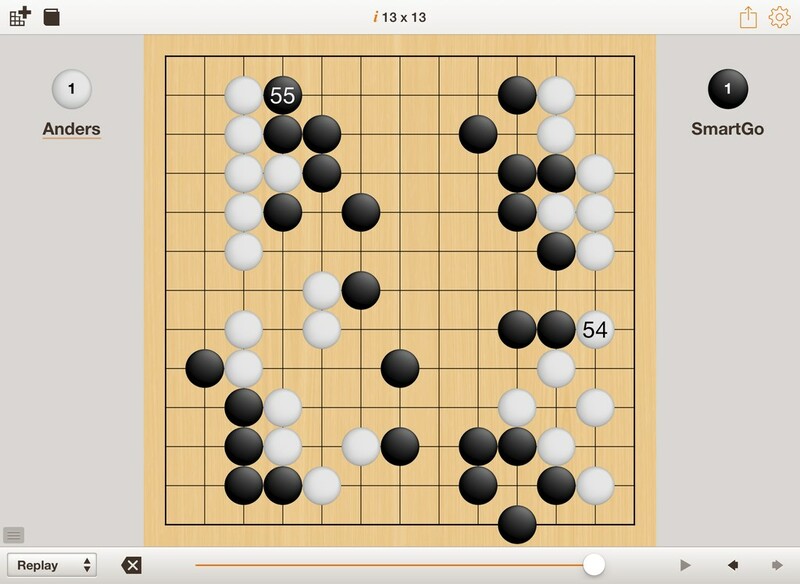 Learn Go using the built-in tutorial with over 100 problems, then play against your iPhone or iPad. SmartGo automatically adjusts the handicap to keep the game interesting – start with 9x9, and unlock 11x11 and 13x13 as you get stronger. Thanks for checking out SmartGo Player at this exciting time. The following links provide some more information on other ways of learning to play Go, and on the ongoing AlphaGo match. Different ways to learn Go. Lee Sedol vs AlphaGo - before the match. Lee Sedol vs AlphaGo - after game 1. 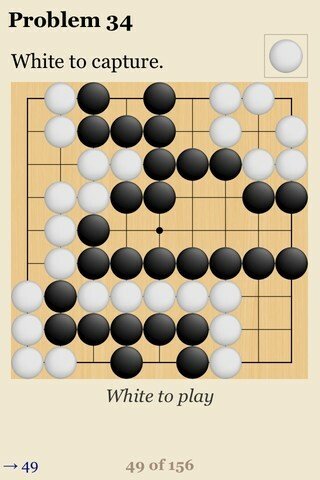 Play the ancient game of Go against your iPhone or iPad. Starting with the empty board, your goal is to surround territory — the simple rules of Go lead to a complex and beautiful game. This 4000-year-old board game originating in China is also known as igo (囲碁), wéiqí (围棋), or baduk (바둑). 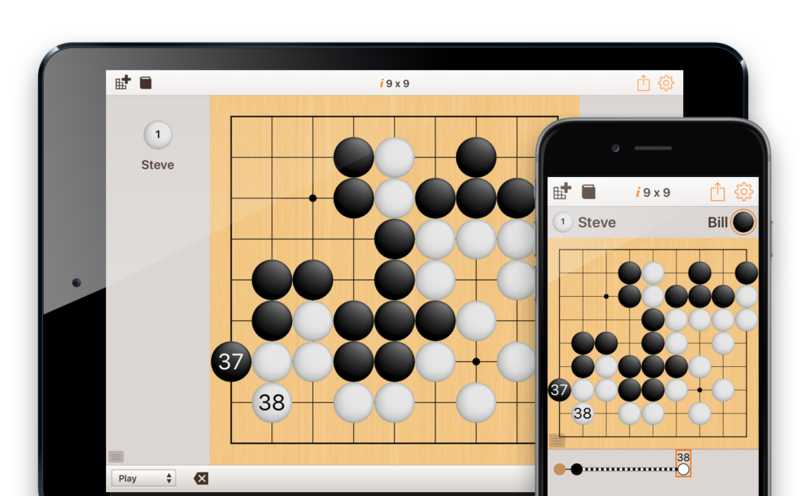 Learn Go using the built-in tutorial with over 100 problems, then play against your iPhone or iPad. 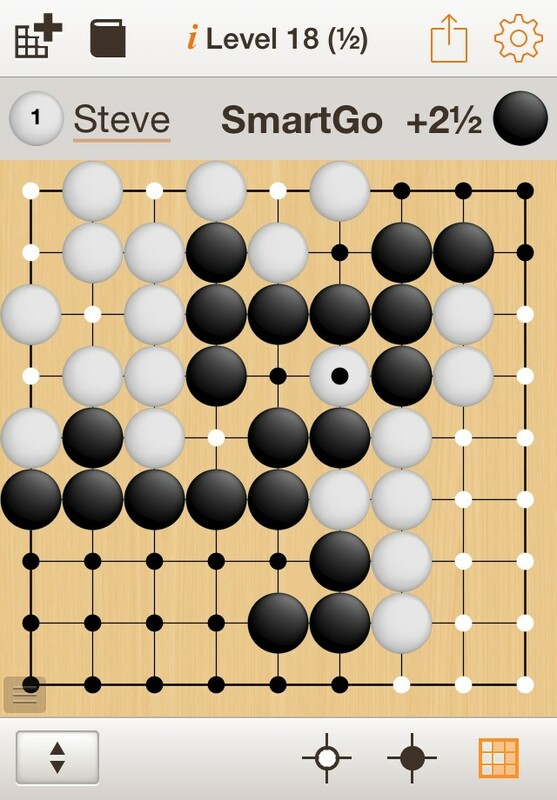 SmartGo automatically adjusts the handicap to keep the game challenging, for beginners as well as seasoned players. SmartGo tracks the level per user, so you can let a friend play without losing your hard earned progress. Play against the computer, take back moves, get hints, have the computer estimate the balance of territory. Replay the game and explore different variations.